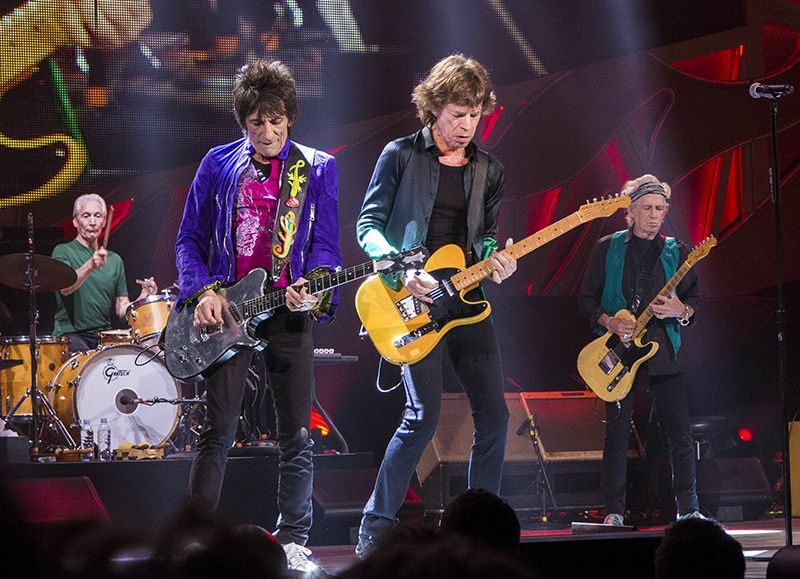 Updates log: 05-Mar: The Rolling Stones Tour in North America will start late May 2015. They will tour across North America including a date in Canada as well as approx fourteen dates in USA. The tour will end mid July. There will be mainly stadium shows, with outdoor amphi theatre and festival shows included in the tour. The Rolling Stones will do shows both on the West Coast and the East Coast. Prepare for a great Stones summer in North America! 05-Mar: Tour start expected in California USA late May. 06-Mar: The Red Rocks Amphitheatre in Morrison, Colorado, 10 miles west of Denver, is rumoured for a Rolling Stones show this summer. The 9,000 capacity open-air amphi is famous for many great shows and recordings including the concert film "U2 Live at Red Rocks: Under a Blood Red Sky". 12-mar: Tour start rumoured for Petco Park, San Diego, CA, Sun May 24. 12-mar: A show in Buffalo NY is rumoured for Sat July 11. 13-mar: Pittsburgh show rumoured for Sat Jun 20. 13-mar: Rumoured shows in Indianapolis July 14 and Atlanta June/July added. 13-mar: Minneapolis, Orlando, Columbus, Milwaukee, Kansas City, Detroit are all rumoured for Stones shows this summer, also having Stones 2015 tour "Satisfaction" billboard posters in place today. 15-mar: Red Rocks Amphi Morrison removed. Arlington (Dallas), Nashville and Santa Clara (San Jose) added. Rumored show dates added. 15-mar: Rumored show in Raleigh, NC added, it is either Raleigh or Santa Clara for this time slot. Rumored Quebec City QC Canada festival added. 18-mar: Nashville venue changed into "LP Field", date changed into Wed June 17. Atlanta date changed into Tue June 9. The rumoured show in Santa Clara CA is removed. Kansas City date set to Sat June 27 19-mar: Orlando date changed into Fri June 12 24-mar: There might be a show on Wed May 27 in Denver CO, Seattle WA or Salt Lake City, UT. 31-mar: Official tour announcement this morning at 8:30AM EST. All RUMOURED dates listed on IORR are correct, and they are changed into CONFIRMED. Marcus Amphitheater changed into "Summerfest" for the Milwaukee show. Rumoured "open" date May 27 removed. 20-may: Added Fonda Theatre, LA show. Don't worry about tickets for stadium shows. Many want the best tickets of course, they might be expensive and go fast, but still, a stadium is big, there are many tickets on sale, many returns, some can't go, plenty of tickets in circulations, so with a stadium show there is absolutely no problem to get inside. Also, no need to go through brokers. Just stay on your computer, try again if you don't get the tickets you want on your first search. Ticketmaster will release tickets people are holding after a few minutes, they will get to you on your next search. Finally, it is easier to get one or two tickets than ten in a row. If you are stuck with no tickets in your search, try a lower number. If you aim at the very best tickets, then go for the pre-sales. Make sure you do follow every post in the IORR thread The Rolling Stones ZIP CODE Tour 2015, because in-between the smalltalk, there will be important information about pre-sales codes and options. These days the Stones shows sell out fast. Demand and supply is NOT balanced. Most shows of the European tour 2014 sold out in minutes, not hours. The pre-sales will start shortly after the tour announcement. Make sure you have a valid credit card available, and keep your calendar available from late May and on through mid July. They start in the California west coast and criss-cross North America.